It is now official. 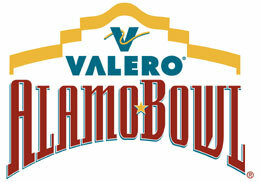 The Nittany Lions have accepted an invitation to play in the Valero Alamo Bowl. The game is on December 29, in San Antonio. Joe Paterno will be 81 by that time. For those of you who haven’t been to San Antone, you gotta do the partyin’ on the River Walk thang at least once in your life, so peradventure why not take this opportunity, man? The likely opponent for this inconsequential bowl game will be either Texas A&M or Texas Tech (or if they don’t show up due to disinterest, the McCabe Sisters will fill in). The Turkey will return sometime between now and game day with an assessment and a prediction, just in case anyone cares. For all of you who were thinking that nothing less than a BCS bowl would be acceptable this year given the talent level of the Penn State team, please retire that opium pipe and find a less hallucinogenic form of recreation. This season’s descent from pipe dream heaven to South Texas was not a fluke. We’ll most likely be hanging around mid- to lower-tier bowl games for the foreseeable future.